Today, when you order "Yu Ho Jin Teaches Magic On The Go", you'll instantly be emailed a Penguin Magic gift certificate. You can spend it on anything you like at Penguin, just like cash. Just complete your order as normal, and within seconds you'll get an email with your gift certificate. 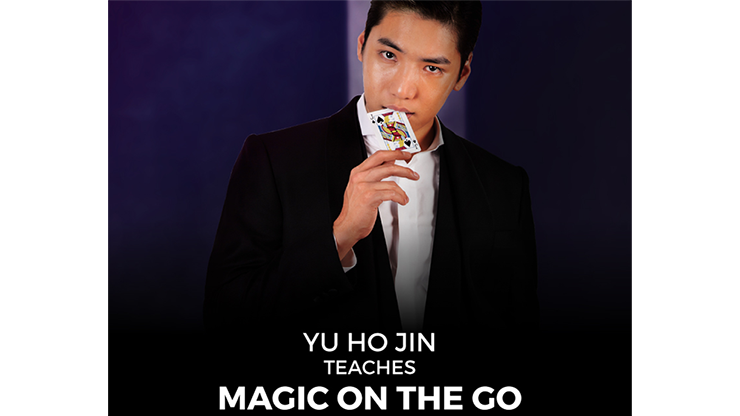 Yu Ho Jin has handpicked the most practical, hard-hitting tricks that can be performed anytime and anywhere in his exclusive Magic On The Go. By end of the tutorial, you are always "On the Go" to perform magic, anytime and anywhere! The tricks taught are assisted by FISM 2015 winner, Kyoung Doc (DK). There are many original ideas taught in this course, each catering to different audiences. These tricks are audience tested by Yu Ho Jin himself to achieve maximum impact. Furthermore, you will be able to perform world class visual magic with everyday household objects with minimal practice. Yu Ho Jin Teaches Magic On The Go will guide you to perform magic at a moment's notice. Impress the girl of your dreams, break the ice to anyone you've been wanting to talk to. Most importantly, be the life of the party wherever you go. Download the video and learn these amazing effects!